openDemocracyUK presents a debate about how to build a just, sustainable, and resilient economy. Find out more about the project & submit your ideas. This is the concluding chapter of openDemocracy’s e-book New Thinking for the British Economy. You can download the full e-book here for free. As the forces of entropy have continued to pull at the threadbare remnants of Britain’s empire state, Neal Ascherson’s claim in 1985 has become more potent than ever. 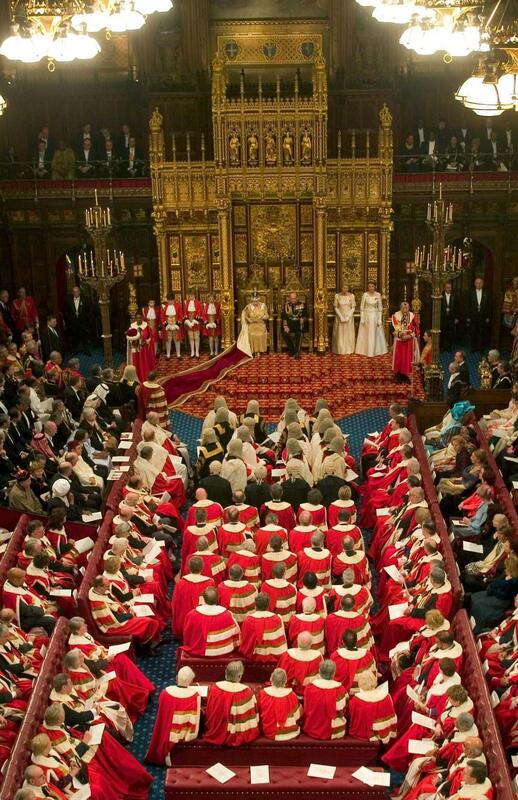 This “gaudy heritage” includes the House of Lords where a combination of the only hereditary legislators in the world, the only automatic seats for clerics outside Iran, and hundreds of appointed cronies get a say on all the UK’s laws. This valve in the British state allows the interests of the powerful to flow freely, while holding back progressive change. When the Conservative party pushed through the Health and Social Care Act in 2012, which undermined the foundations of the NHS, a quarter of its peers had shares in private health companies. To begin the building of the welfare state in 1910 the Commons first had to limit its influence, but it still has the power and desire to delay and disrupt much of what is proposed in our e-book. There’s the Royal family, and the empire-kitsch nationalism it encourages, allowing tabloids to imply that anyone who isn’t loyal to Britain’s iniquitous institutions is a traitor to their country. There’s the fact that 86% of the land, 90% of the biodiversity and an unknown but large proportion of the wealth for which the British state is responsible lies outside our North Atlantic Archipelago. Stretching from the Cayman Islands to Gibraltar, from the UK’s military bases in Cyprus to the US military bases on the British Indian Ocean territory, the Overseas Territories spin a dark web around the world, allowing the mega-rich to launder their spoils in the shadow of vestigial empire and prompting the leading expert on the mafia to call the UK “the most corrupt country on earth”. There’s the constitutional oddity of the City of London, which sits at the centre of this web, which has managed its own affairs since before the Norman Conquest with a corporate-elected council, has its own police force (dating back to Roman times) and enjoys the only constitutionally mandated permanent lobbyist in parliament, known as the “Remembrancer”. There’s the absurd concentration of power which ensures that decisions of the state are held out of reach of ordinary citizens. Local government in Britain is both less local, and has less power to govern, than almost anywhere else in the western world, helping produce a country with the most extreme regional inequality in Western Europe. There’s the mess of asymmetric devolution, the now multidimensional West Lothian Questions it delivers, and demands for more autonomy from Cornwall to Shetland. There’s the collapsed institutions of Northern Ireland; the immunity of the Bank of England from democratic influence; and the towering power of the Treasury, whose wonky models often seem to shape government policy more than the manifestos of the parties we elect. There’s an electoral system which encourages millions to believe that voting can never make a difference, that democracy is defunct. There’s a civil service whose culture and revolving doors with the institutions of British capital ensure that it would likely be as much of a barrier to change today as when it was founded as a check against the growing enfranchisement of working class men in the 19th century, on the back of the Northcote-Trevelyan report, whose co-author, Sir Charles Trevelyan, is most famous for his genocidal approach to the Irish famine, and who based its structure on the lessons of the colonial administrators of the East India company. There’s the lack of constitutional protections for human rights or civil liberties. One of the central exhibits in the Stasi museum in East Berlin is a bug inserted inside a kitchen door, which had recorded family conversations for years. But the Edward Snowden revelations showed that the UK spy agency GCHQ’s Optic Nerve programme collected images of millions of people through their laptop cameras and smartphones: a level of surveillance that the government of the German Democratic Republic could only dream of, and which poses a drastic threat to the activism and journalism needed to hold power to account. As the Guardian revealed at the time: GCHQ had a “sustained struggle to keep the large store of sexually explicit imagery collected by Optic Nerve away from the eyes of its staff” . While the US has constitutional protection to stop the government spying on civilians without a warrant, the UK doesn’t, and the ability of structurally racist security services to collect both data and meta-data, tracking our networks and movements, gives it capacity for unprecedented social control, including new tools for undermining social movements and trade unions during protests and strikes. The UK sits at 40th in the latest rankings for press freedom, behind almost every other Western country. After Beijing, London is the most watched city in the world, while the shifting terms of citizenship as Britain has made its way from an empire to an EU member to neither – is the beaker holding the poisonous conversation about immigration. Underlying all of this is the ultimate principle of the British constitution, that sovereignty lies not with the people, but with the crown in parliament: the compromise of failed democratic revolutions, which stumbled as the bourgeoisies of previous centuries were bought off with the plunder of empire and slavery. But these questions are as relevant today as ever. Neoliberalism is the process of shifting decisions from one person one vote to one pound – or dollar or Euro or Yen – one vote. It’s no surprise that it has thrived most in those countries in which the democratic revolutions were least complete, in which people are most easily convinced that markets are a better way to make decisions than politics. Most of the policy proposals in this volume demand a different approach: that democratic institutions of various flavours take some kind of control over major areas of decision-making. And if they are to do so, it’s vital that they are genuinely democratic, that they are responsive to the needs of the population, and that they act in the interests of those they are supposed to serve. And if these proposals are to survive beyond the lifetime of more than one government, then their implementation must come alongside a process of empowering citizens to defend those policies and institutions which work. One of the many lessons from the Blair/Brown era is that much of the good they did do – Sure Start Centres and rising public sector pay – was swept away within the term of one austerity happy government. 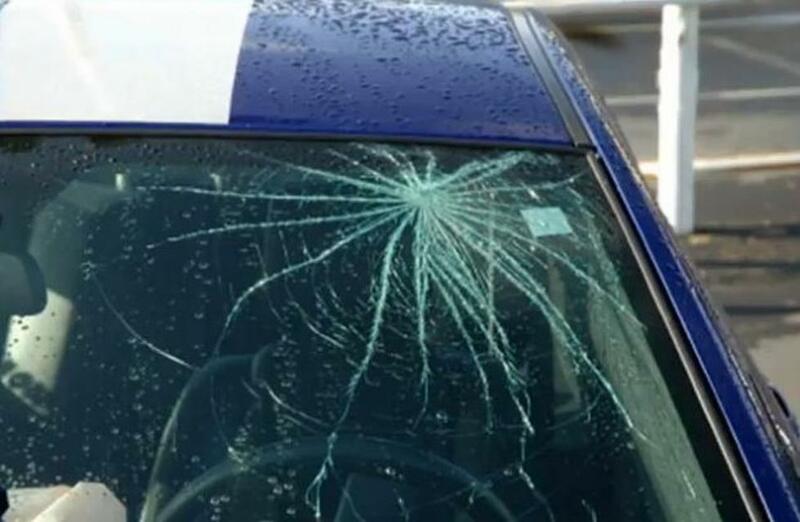 Britain’s constitutional debate often feels like a car owner attempting to repair a smashed-up windscreen by trying to mend each fracture separately. A much better approach would be to replace the whole mess with a constitutional convention. Specifically, the government should gather a jury of citizens – representative of different races, genders, ages, classes, regions and nations of the UK – to draw up a new constitution, and then hold a referendum or series of referendums on whether to accept it. It was a similar process in Ireland which triggered the magnificent referendums there on equal marriage and abortion rights, which have both undone huge historic injustices, and also unleashed an energy which has helped change Ireland. But while a huge amount can be learned from the Irish process, the UK, without a codified constitution to start with, begins from much further back. Of course, once such a group was convened, it wouldn’t be up to the government to decide what it concluded. But progressives should absolutely be free to advocate for particular decisions during the process, and what follows are a number of the changes I would wish to see. Human rights can be an atomising way to see morality and they are of little use in determining the most complex questions, which arise when rights conflict. However, democracy requires protection for the marginalised and minorities, for the unloved and unlovable, and for everyone against the powerful. The current set-up means that any government – especially without the framework of the EU – could quickly pass a law abolishing any right it didn’t like. This is why most countries enshrine rights in constitutions, which require deeper democratic mandates to amend. A bottom up Convention should help ensure that such rights are seen not as an imposition from some ‘metropolitan elite’ as they are sometimes described, but as emerging from a conversation among the people. Among the principles that should be enshrined is the core of the Magna Carta – equal access to the justice system, which has been so corroded by years of cuts to legal aid. Such a principle is core to any economic reforms: how, for example, can we ensure minimum wage laws are enforced or tenants’ rights are protected unless workers and renters can access the courts on equal terms with their bosses or landlords? A set of rights for women would be important in our systemically sexist society. While they should of course be drafted by women themselves, I’d include rights to equality in pay, property and political representation as well as reproductive rights such as access to safe abortions. Similarly, people of colour, LGBTQI people and disabled people face structural discrimination and their rights should be enshrined. Recent scandals around both the state and corporations spying on trade unionists and environmental activists show the need for protection of both privacy, and of collective organising. And the story that the Home Secretary will allow people accused of terror charges to be sent to the United States to face a potential death penalty shows the potential fatal consequences of elected dictatorship. The 2016 Trade Union Act drastically undermined the capacity of workers to organise collectively, and in 2018 the International Trade Union Congress ranked the UK alongside Russia and the Congo as a country where there are “regular violations of workers’ rights”. A constitution should enshrine collective rights for workers, and for marginalised groups such as the UK’s traveller community, who have been victims of cultural vandalism in recent years. Likewise, we should guarantee not just civil and political rights but also social and economic rights. It seems likely that a list of rights drawn up by a representative sample of British people would include a right to healthcare, and legal protection for the NHS as a universal service, making future attempts at eroding it much harder, and similar rights should exist to education, social care, housing, food and digital access. And when other countries have debated rights in the modern era, some have chosen to think beyond people. The constitutions of both Bolivia and Namibia enshrine protections for nature, which mean environmentalists and indigenous people have legal recourse to challenge corporate polluters and plunderers in the highest courts in the land. If the point of constitutions is the long-term stewardship of a civilisation, then it ought to build in protection for the planet. The same is true of digital rights. If data is the new oil, then asking who owns it means asking who owns much of our economy. A modern democratic revolution should have Google and Facebook in mind alongside government and finance. There are important questions to be asked about how this sort of data should be owned, stored and used. Our current governance structures have proved woefully incapable of even asking those questions – it is clueless when it comes to contemplating possible answers. And the flip-side of data protection is transparency. The 2001 Freedom of Information Act has helped sweep aside some of the deep corruption of the British state. Without it, we wouldn’t have had the expenses scandal or known as much as we do about corporate lobbying and the revolving doors between the civil service and big business. But with MPs dodging the Act with WhatsApp groups, and government departments now turning down Freedom of Information requests wholesale, with more and more of the functions of the state being privatised beyond the reach of the Act (for now) there’s a deep need for new rules – and a newly empowered Information Commission – to ensure our government is transparent. And just as the Information Commission needs to be renewed, so the Electoral Commission and the rules protecting our democracy from big money need to be comprehensively refreshed. In the 2010 election – which took place immediately after the banking crash – more than half of the donations to the Tories came from the City of London. They were paid to not regulate the banks, and they didn’t: a historic dereliction of duty. As I write this, I’ve spent nearly two years investigating where much of the cash that paid for various campaigns to leave the EU came from, and I couldn’t tell you the answer with certainty, other than that it came through tax havens and loopholes in the British constitution, from people with vast wealth who believed that Brexit was in their interests. Without either public funding for political parties, or much tougher enforcement of stricter laws on funding, British democracy is in real trouble. Similarly, the 2000 Elections Act was written before the advent of Facebook or Twitter. These are new spaces for democratic debate and they need new rules. There’s another way to look at the Information Commissioner’s Office and the Electoral Commission. Both emerged during the Blair/Brown years, where regulation became part of a “third way” compromise between public and private ownership, and led to a set of organisations which blur the old constitutional lines between judiciary, legislature, and executive. For the most part, though, as Anthony Barnett has pointed out Britain has regulated goods and services in an increasingly complex and globalised market by participating in the EU. And if we are to leave the EU, then we will need to rapidly take on many of these functions, and in that context, there is important thinking to be done about what sorts of regulators we want in the future. If, for example, the Food Standards Agency, or the Financial Conduct Authority, or the Care Quality Commission, or Natural Resources Wales, or the General Pharmaceutical Council, or the Social Care Inspectorate, or all of the new regulators the UK will have to create as we take on work previously done at an EU level – are to have the powers they will need to hold the powerful to account, then they will need the legitimacy of democracy in some form. Otherwise they will find themselves in the same position as the EU: facing accusations of being unaccountable legislators. And this applies as much to those who regulate democratic and non-profit institutions as it does those who oversee the market. Britain’s current regulatory structure was mostly built by a New Labour administration which was largely populated by the great and good of bureaucratised NGOs and elites from within the public sector. As such, it is essentially a new form of unaccountable governance by those elites. It will either find a way to democratise itself, or it will be torn down by those it ought to be regulating, and their allies in the media. Image, ‘inspector gadget’ with thanks to Clare Sambrook. At the very core of the state sits two groups. First, there are those who run it: the civil service. Second is those who administer its most defining power: the monopoly on legal violence. In recent years, the work of the civil service has been increasingly outsourced to the big four accountancy firms, Deloitte, PwC, EY and KPMG. To take just one of them, PwC has played a key role in everything from military procurement to Brexit negotiations, to the justice system to healthcare and almost any other function of the state you might imagine. The big four audit all but one of the FTSE 100 and 97% of US public companies, meaning they were responsible for signing off the books of all of the major banks which would then go on to collapse in 2007/8. PwC is also the UK’s “leading provider of tax services”, and in 2015 was accused by Margaret Hodge, chair of the House of Commons Public Accounts Committee of “promotion of tax avoidance on an industrial scale”. In 2018, the firm was banned from auditing listed companies in India after a company it had audited turned out to have committed a billion dollar fraud (PwC denied any wrongdoing). Ahead of the 2015 election, PwC was, after the trade unions, the biggest donor to the Labour party, having seconded staff to the offices of then shadow ministers Chuka Umunna and Ed Balls to write the party’s policy on tax and education. Given the key role that it plays in writing, shaping and delivering government (and opposition) policy, PwC, alongside the other big-four firms, should be understood as a key component of the modern British state (and of most other Western states). As the journalist Ellie Mae O’Hagan has pointed out, there was until 2010 a public body called the Audit Commission, which audited 11,000 public bodies, but which was abolished by the coalition government. It’s vital that we bring back the Audit Commission, and I would suggest that as well as all public bodies, all major firms ought to be audited by it, rather than being allowed to choose who will check their sums. More broadly, any progressive government is likely to find it impossible to deliver its agenda with a hollowed out civil service, which relies heavily on the big four to deliver any major project: the reforms in this volume conflict directly with the interests of most of their corporate clients, and of the big four themselves. This means there will need to be a major project in re-building and re-skilling the civil service. Similarly, the monopoly on violence has become more of a competitive marketplace for physical force. 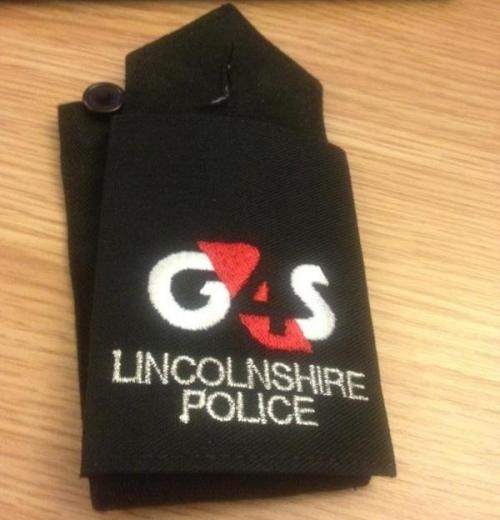 From the G4S employees who suffocated Jimmy Mubenga to death, to the guards in our privatised prisons and the staff at the firm Maximus (who determine whether or not people are fit to work), the right to decide who lives and who dies is increasingly being outsourced to private firms. And as the NGO War on Want has revealed, this is equally true outside the country. Since the 2001 invasion of Afghanistan, the work of war has increasingly been contracted to mercenaries, whose industry has grown exponentially. The industry is now worth hundreds of billions of dollars, and is one of the few sectors in which the UK is the world leader, in part because the government allows it to regulate itself. This process had a direct impact on British and American democracy when SCL, a mercenary psychological operations contractor hired by NATO and the defence departments of various of its members, realised it could apply the skills it had developed in warzones to domestic campaigns, and set up a subsidiary called Cambridge Analytica, which secured the contract to run Trump’s 2016 presidential campaign, while its close associate, AggregateIQ, effectively ran the pro-Brexit campaign. In both cases, the firms won by smearing racism across the internet. Private armies, mercenary military propagandists and social-media monopolies are drowning our democracy. We need robust independent media and democratically refreshed public broadcasters. And if prisons, the police and the military are to exist (that’s another debate), there must be a constitutional requirement that any monopoly on legal violence and the broader work of war is held directly by a democratically accountable state, not outsourced to mercenaries. British Overseas Territories and Crown Dependencies. Image, George Bozanko, Wikimedia Commons. The geographical reach of the British state peaked in 1920 at around 25% of the surface of the earth and remains much larger than most British citizens realise – with most of it still falling in the Southern Hemisphere. There are, by my count, 18 legislatures sitting under Westminster’s wings; with varying degrees of autonomy over populations ranging from the 5.3 million citizens of Scotland to the 50 people on Pitcairn, descendants of the mutineers of HMS Bounty and the women they kidnapped and raped. First, there’s the five recognised nations of the UK. Recent polls in Scotland have consistently shown majorities of people under the age of 55 supporting independence, and sooner or later, Westminster will find itself facing a constitutional choice similar to the one which has been bungled by the Spanish government in Catalunya: if Holyrood demands a legally binding independence referendum, will Westminster block it? Similarly, the sickly Good Friday Agreement – the official discussion of which has been described by Robin Wilson as a constitutional re-enactment of Monty Python’s dead parrot sketch – requires that the UK Secretary of State for Northern Ireland hold a referendum on Northern Ireland’s constitutional position “if at any time it appears likely to him [sic] that a majority of those voting would express a wish that Northern Ireland should cease to be part of the United Kingdom and form part of a united Ireland.” How the Secretary of State is supposed to divine such a likelihood is, however, left unsaid, and it doesn’t take much imagining to ponder a scenario in which disagreement about this reaches crisis point, producing further chaos in what is already one of the poorest corners in Northern Europe. In the meantime, as I write, every institution set up by the Agreement apart from the police service is not operating, and the likely imposition of border controls with the Republic risks bringing with it chaos and queues. Meanwhile, England and Wales are going through their own, different, and ongoing, processes of emergence from empire, in which England maintains the arrogance of believing it isn’t just a normal country, while Cornwall – a recognised national minority and the second poorest region of Northern Europe – normally goes unnoticed, despite strong support for devolution there. 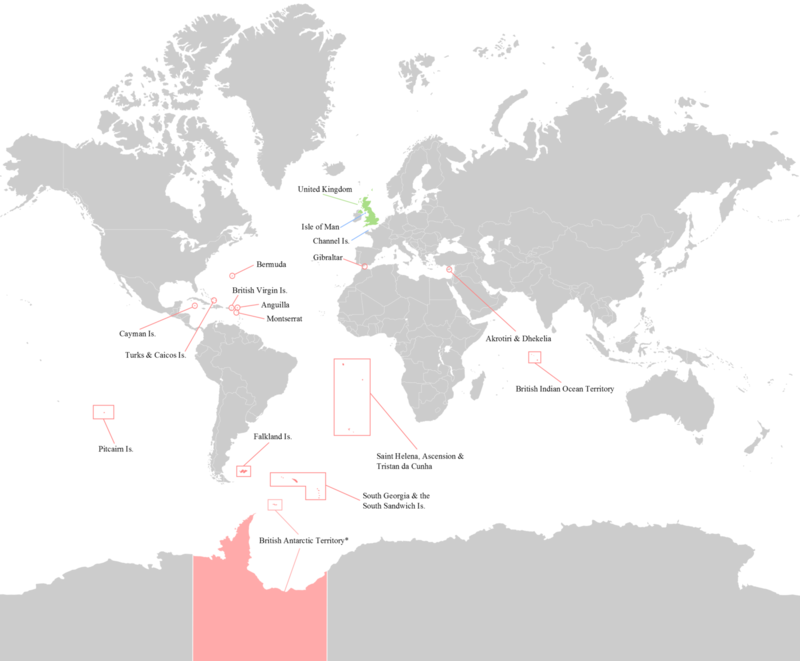 Then there’s the fourteen British Overseas Territories: Akrotiri and Dhekelia; Anguilla; Bermuda; British Antarctic Territory; British Indian Ocean Territory; British Virgin Islands; Cayman Islands; Falkland Islands; Gibraltar; Montserrat; Pitcairn, Henderson, Ducie and Oeno Islands; St Helena, Ascension and Tristan da Cunha; South Georgia and South Sandwich Islands; and Turks and Caicos Islands. Each of these has its own complex stories, from the disgraceful expulsion of the Chagosians from the British Indian Ocean Territory to the child rapes on Pitcairn to the financial secrets of Cayman and Gibraltar. Finally, there’s the Crown Dependencies: the Isle of Man, which has the oldest (and only tri-cameral) parliament in the world, and the Bailiwicks of Jersey and Guernsey, the latter of which includes three jurisdictions: Guernsey itself, Alderney and Sark. These are the property of the Crown and have a series of complex arrangements with the British government, particularly around defence. Twice since 1980, Britain’s armed forces have fought wars in defence of Overseas Territories. In 1982, the Falklands War revived Thatcher’s ailing government and so played a key role in shaping a generation of British politics. In 2003, the famous ‘dodgy dossier’ declared that Saddam Hussein had weapons of mass destruction capable of being deployed within 45 minutes against Akrotiri and Dhekelia, Britain’s mini-military dictatorship on Cyprus, where 8,000 Cypriots live under the rule of an appointee of the Department of Defence. This is what provided the supposed legal justification for the invasion which triggered the ongoing disaster in Iraq, and which has helped shape much of British politics ever since. Under the protection of Britain’s armed forces, but without the scrutiny of international politics, the Crown Dependencies and many of the Overseas Territories play a key role as the world’s most important network of tax havens and secrecy areas. More than half of the companies registered in the Panama papers were listed in Britain or its Overseas Territories, and Crown Dependencies. A distinct part of any constitutional convention would probably have to look at the Overseas Territories and Crown Dependencies in conversation with those who live in them and their governments. Each has a different history, different controversies and by their nature, each will have a slightly different relationship with the UK. However, here is my fairly simple proposal. First, England should be given a parliament of its own and treated as the biggest in a family of nations, not the imperious parent. If the people of Cornwall wish their own, separate chamber, then they should have one too. England’s regions (such as Yorkshire) should also have their own assemblies. While this will be attacked as “more politicians” by neoliberals, a growing state, with publicly owned public transport, water, regional investment banks and other renationalised services means more work for elected officials, and such services will often be best managed at a regional level. Second, if the people of any given Overseas Territory wish to remain under the purview of the British state and to nestle under the protective wings of Her Majesty’s Royal Air Force, then the government should offer a basic set of rights and responsibilities, including the two or three MPs between them that their collective population merits. They should be allowed legislatures of their own, like Scotland or Wales, where they can develop their own health and education systems. But corporation tax rates, transparency laws and basic rights for citizens should be shared: no more tax havens and secrecy areas. They should not be allowed to use the British state as a protective screen as they hide wealth for the crooks of the world. Thirdly, each constituent nation of the British state – from the citizens of Scotland or England to the people of Pitcairn or Montserrat – should be given a legal right to vote for their own independence or to join with another country of their choosing, with a referendum triggered by a petition signed by a pre-agreed portion of registered voters: say, a fifth. Those who wish to remain within the UK should negotiate between them which powers they wish to delegate up to Westminster, and which they wish to retain at a national level. Then there’s the basic infrastructure of our democratic processes. 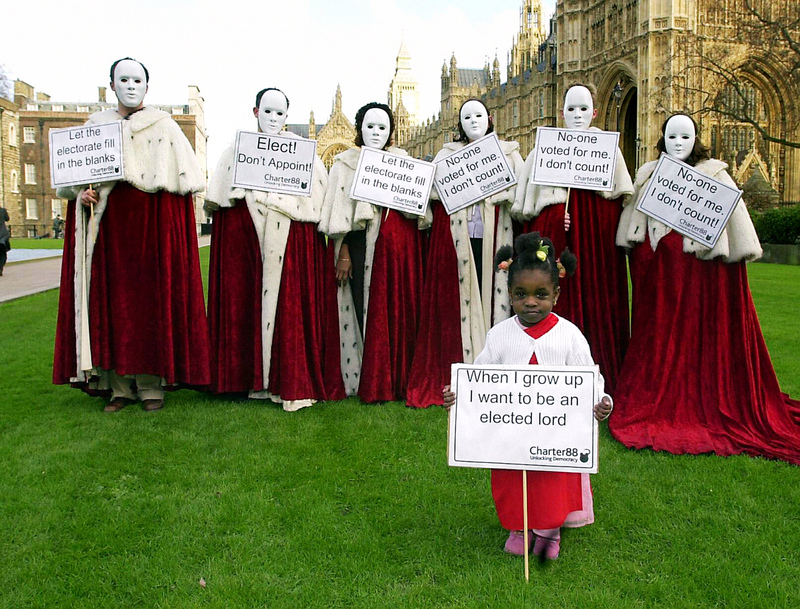 The question of what to do with the House of Lords is long running. As Anthony Barnett has pointed out to me, if it were replaced by a proportional senate but the Commons left unreformed, then it would immediately become the more representative chamber and accrue more moral legitimacy. And so, both must be reformed at once. Proportional representation is both fairer and tends to produce more progressive governments – citizenries, on the whole, are more egalitarian than their establishments. Endless dull texts have pondered which system is best, and I don’t propose to mull here on the various advantages of STV over AV+ or D’Hont, but it seems clear that a switch to a system in which every vote contributes to the final result would be an important step towards restoring faith in democracy. The institution of Westminster is itself damaging to British democracy, as the disciplinarian mother of parliaments insists that its citizens are seen but not heard. Both Caroline Lucas and Mhairi Black have written well about their experiences as MPs entering a building that intimidates anyone unfamiliar with the cloisters of an old public school or Oxford college, where you are given a hook for your sword but have to fight for desk space. It is closer to Versailles – which aimed to awe subjects into submission – than it is to more egalitarian institutions, such as the Scottish Parliament. The fact that only 30% of MPs are women – 47th in the world, just behind Sudan – indicates a deep sickness in the culture of the place, and recent stories of heavily pregnant MPs being marched through the voting lobbies show that things need to change. To walk into the Houses of Parliament, I need to pass a statue honouring a man – Oliver Cromwell – whose troops murdered a fifth of the population of my home city, Dundee, and who is considered by many in Ireland to personify the slaughter of their ancestors by the British state. A simple solution would be to turn the whole palace into a museum and debunk to a city further north. Apart from anything else, Northern England’s rackety trains might finally get the upgrade they have long needed if more MPs were forced to travel on them every week. And if the two chambers were placed in different cities, the narcissism of the place might dissipate a little. At the same time, the various absurd traditions of Westminster should be replaced with clear, accountable democratic procedures, including two proportionally elected chambers with different systems, an element of sortition (which I’ll come to), and mechanisms to ensure women and minority groups are fairly represented. But ultimately, bringing power closer to people is vital if we are to build a democracy at a more human scale. For too long, local government has been stripped of power, to the point that Britain is now, by some measures, the most centralised developed country. It’s no surprise that people have paid less and less attention to disempowered local authorities with little capacity to shape their communities. But when people are given real decisions, they show up in their thousands. Across Europe, the average population of a local authority is 5,620. The smallest council area in England is West Summerset, with 34,000 people. The biggest is Birmingham – the largest ‘local’ government area in Europe – with 1.1 million people. Scotland and Wales aren’t much better, while local government in Northern Ireland has very few powers. For neoliberals, of course, none of this matters much. You’re unlikely to mind what sort of government is getting out of the way of the market, and the more ‘politics’ is confined within the walls of an obviously anachronistic Westminster, the more that the mantra “there is no alternative” wins. But once we accept that neoliberalism has failed and some sort of government intervention matters, if we believe that politics is about power everywhere, then the sort of government – and its ability to understand local differences – becomes enormously important. While there is often discussion among progressives about the Nordic social democratic model, there is little understanding in Anglo-American debate that the key to building the ‘social’ has been the ‘democracy’. Since the Beveridge Report, progressives in Britain have relied on a strategy of universalism to defend the social security system, on the grounds that public services just for the poor end up being poor public services. This, of course, remains true, and Blairism’s embrace of means-testing was a key precursor to Cameron’s cuts: see, for example, the broad resistance to fortnightly bin collection versus the ease with which housing benefit has been cut. It’s clear, though, that universalism isn’t sufficient. If future governments hope to protect parts of our lives from the brutality of the market for the long-term, that means building institutions and policies that people will be willing to organise to defend, over generations. And the best way to do that is to involve citizens directly in building and running those institutions. In 1972, the Glaswegian trade unionist Jimmy Reid was elected rector of Glasgow university on the back of a work-in he led of Clydeside shipbuilders. The speech he gave accepting the post was so powerful it was re-printed in the New York Times. In it, Reid railed against both the market, and the centralisation in the local government reforms going through at the time. He opened with a stark claim: “Alienation is the precise and correctly applied word for describing the major social problems in Britain today”. In the 46 years since he gave his speech, the extent of alienation has only got worse. The claim is even more true today than it was at the time. But three major things have changed. The first is that progressive governments at both local and national levels across the world have developed a range of techniques to support citizens to make large scale decisions through participatory and deliberative processes. Since 1989, the people of Porto Allegre in Brazil have come together every year to choose how to spend the city’s multi-million pound budget. And the scheme has been such a success – even the World Bank has accepted that it’s been more efficient in alleviating poverty than the conventional process of leaving budget decisions to political elites – that it’s been repeated in cities across Latin America, and even the world. In Edinburgh, where I live, the people of Leith have an annual process for divvying out community funds, inspired by lessons from Brazil. One of the most remarkable effects of such processes though is not just the way in which it changes how money is spent, but how it changes the people involved. As the World Bank report mentioned above says, “information disclosure through meetings involving public representatives has facilitated a learning process that leads to a more active citizenship. Citizens have become aware of new possibilities, and this has helped them to decide on civic matters influencing their everyday lives.” A study by the University of Columbia in 2005of the impact of participatory budgeting on the people of the Argentinian city of Rosario came to a similar conclusion. People they interviewed talked about how the process had helped bring together the community and give them a sense of ownership over it. The various experiments in radical democracy that have taken place around the world stretch beyond budgeting, and they don’t always involve mass assemblies: as mentioned above, Ireland’s recent constitutional referendums were the result of a citizens’ jury, and the participatory processes have been used to look at a whole range of questions. But what they have in common is that they allow space for people to have conversations about the future, outside the endlessly atomising force of the market. The second thing that has changed since Jimmy Reid railed against alienation is the arrival of the internet, and with it a series of tools to facilitate collective decision-making. While it’s important not to fall into the perils of tech-utopianism, the web can be a powerful tool for radical democracy. And the third change is the arrival of big data. Mostly, this important new tool has been used to sell us things and spy on us. But the depth of information humanity is now able to gather on how to understand major problems ranging from cancer rates to climate change is vast. In this context, the centralised British constitutional system – where 650 MPs plus 792 Lords make the vital decisions which affect all of us, is an absurd anachronism, designed more to protect a ruling elite than to unleash the collective wisdom of the country. As Peter McColl has argued, the mix of near-universal literacy, the power of pervasive and ubiquitous data to help us better understand the challenges we face, and success in trialling and developing the tools of radical democracy, means that now is the time for a participatory society. Such suggestions are often contentious among those who worry that decentralising the power of the state can be a divide-and-rule tactic which allows capture by big business. But in reality, the states which have managed to stop being entirely controlled by big business are the least centralised, because the best guardian against corporate capture is an empowered citizenry with hands-on control of public investment. In practice, what I’d propose is a mixed model of direct and representative democracy, with powerful local government facilitating participatory processes for decisions like budgeting and the production of urban plans, and national government using jury-style processes as a stage in the writing of major new laws, to oversee the work of public bodies such as government departments, police forces, regulators and the central bank, and in public inquiries as Dan Hind has proposed. Any basic politics course will teach you that such a society is anathema to the British constitution. In the UK, we’re told, the Crown in parliament is sovereign. In reality, however, this principle is already broken, as Anthony Barnett and I pointed out last year. First, there’s the question of Scotland. Here, there is a strong cultural belief that the people of Scotland are sovereign, sometimes claimed to date back to the declaration of Arbroath in 1320. In 1989, the majority of Scottish MPs (mostly Labour and Liberal Democrat) signed “the Claim of Right”, which declared “We, gathered as the Scottish Constitutional Convention, do hereby acknowledge the sovereign right of the Scottish people to determine the form of Government best suited to their needs”. A majority of MSPs currently sitting declared, as they were sworn in, that “the people of Scotland are sovereign” – a position taken by both the Scottish Government and the Church of Scotland, but in direct contradiction to the sovereignty claimed by Westminster. And when David Cameron, Nick Clegg and Ed Miliband signed “the Vow” ahead of Scotland’s independence referendum, they declared that the Scottish parliament is permanent: a promise restated in the 2016 Scotland Act, which bans future incarnations of Westminster from abolishing it without consent of the people of Scotland, meaning that there is a level of sovereignty greater than that of the Crown in Parliament. This principle went further in 2017. When the activist Gina Miller won her case at the supreme court determining that MPs had to vote on Brexit, two things happened. First, the three dissenting Supreme Court judges argued that they could not instruct Parliament to vote on the matter, because to do so would be to declare that the court had power over Westminster, and therefore that Parliament was not sovereign. They lost 8-3, but the very fact that three of the country’s most senior judges believe that this means that the Supreme Court – another product of Blair’s constitutional tinkering – can now overrule the Commons is vitally important. Secondly, MPs then voted, overwhelmingly, for something they believed was a bad idea, because, they said, the will of the people must be respected. They abdicated responsibility for deciding on the matter. In other words, the Brexit vote produced the best display that, in reality in modern Britain, we have no idea where sovereignty really lies. There are two reason for this collapse in the idea that the Queen-in-parliament is sovereign. First, the contemporary concept of parliamentary sovereignty dates from AV Dicey’s famous book, ‘Introduction to the study of law of the constitution’ from 1885. When he wrote that parliament is “an absolutely sovereign legislature” with “the right to make or unmake any laws”, London was the capital of the biggest empire in human history. It was a literal description of the power of a chamber which, ultimately, could enforce its will across the world. This, clearly, is no longer true, with power shifting both east and west, and capital becoming increasingly footloose. Secondly, Anglo-Britain (the Welsh, Irish and Scots have different stories), maintains a cognitive dissonance about the monarchy. On the one hand, they are at once the deities of reality TV Britain and icons of empire-kitsch sentimentality. They are the zenith of a nationalism so ubiquitous it goes unmentioned, which permeates the society of a past-it empire desperate to remain cool in the modern media market. On the other hand, the absurdity of the idea of the divine right of kings in a country where fewer than one in fifty actually attend a Church of England ceremony each week is overwhelming. We are left with a Schrodinger’s sovereignty, where the compromises of the seventeenth century are alive, until you look at them too closely. Looked at another way, at the core of the British constitution lies the creaking old class system. Only five British universities have produced a prime minister, and more than twice as many have gone to Eton as to non-fee paying schools. And at the centre of this system, reminding us all that it’s the natural order of things for posh white people to be in charge and that vast inequality is part of our national culture, is the monarchy. To clean up our current constitutional mess means therefore means resolving the question of who is sovereign. For any democrat, the answer to that question is “the people”. But that means a head-on confrontation with monarchism: whilst, of course, it would be possible (though undesirable) to maintain a Nordic style monarchy, with a role that is genuinely only ceremonial, even such a cautious move would almost certainly be treated by the tabloids as what it was: an all-out assault on British traditions, and so would likely provoke a confrontation with Anglo-British nationalism. To understand the scale of this challenge, you need to understand that the UK is currently spending around £170 billion renewing its nuclear submarines, with the support of both main Britain-wide parties, despite MPs knowing them to be technologically redundant, because it’s easier to do so than to explain to the voters of Anglo-Britain that the sop they got for losing the empire was designed in a world before maritime drones. There will be those who read what I have proposed above and feel that none of it is a priority. There are people starving on the streets of Britain, and we need to hurry on with sorting the housing crisis and income inequality. The planet is burning, and we must prioritise the transition to a low carbon economy. Others might argue that this is all a side-show: power in our system lies with big corporations, not governments. The system we should be focussing on is neoliberal capitalism, not archaic questions about constitutional sovereignty, and provoking a bare-knuckled fight with revanchist nationalism is a dangerous game. But a political system built to ensure elite rule will always mean that decisions are steered towards the interests of the elite. Powerful property owners still have huge sway. Shell and BP still have their teeth deep into the Foreign Office. And we will never succeed in taking power away from corporate elites if the only alternative is a laughably anachronistic system of quasi-democracy that is deeply in hoc to those elites anyway. Deep down, people understand this. When Scotland’s independence referendum campaign kicked off, it was the height of austerity, and the response from much of Scottish Labour was to treat it as a sideshow to ‘bread and butter’ issues. But the vote produced huge levels of political engagement, unseen in a generation, because people understood that without mending the system somehow, the bread and butter questions would never be answered. Similarly, the biggest turn out in England in recent years was the European referendum, when people voted for a campaign promising them the chance to “take back control”: the ultimate desire in the age of alienation. If a future UK – or its consciously uncoupled constituent countries – is to transform itself into a democracy, then it’s imperative that the rules of that state are written not by the politicians of any one party, but through a process which itself is seen as legitimate, democratic, and plural. The best evidence seems to be that mixed models work well: where a randomly selected and representative jury is interspersed with a small group of elected politicians from across the party spectrum (who are there mostly to advocate for the process in the old institutions), and given the power to determine its own direction and ask advice from the experts it chooses. Such a group, I would hope, would bring a string of proposals similar to those I’ve sketched out above, to the public, through carefully thought through referendum processes, which would lead us to democracy. Perhaps one such proposal would be a return to the EU. In the last five years, these islands have seen four iconic, culture-shifting referendums. Scotland’s independence vote shifted attitudes in the country, making them more progressive as thousands became enthused about politics once more. Ireland’s votes on abortion and equal marriage awoke a progressive spirit and helped the country cast off its conservative Catholic heritage. England’s Brexit vote (because that’s what it was) pulled in a different direction, unleashing a negative energy which often feels scary. This certainly reveals the risk of badly run democratic process in a noxious context. But the risk of progressives retreating to a belief in elite rule is much greater. National identity and national institutions help create each other. England, specifically, desperately needs to find a way to escape the prison of imperial longing, and emerge as a modern democracy. A vast national debate about how to really ‘take back control’ from those who have hoarded power for generations is long overdue. It’s time to complete the democratic revolution. Barnett, A. (2017). The Lure of Greatness. Unbound. Cave T, Rowell A. (2015). A quiet word: lobbying, crony capitalism and broken politics in Britain. Penguin. Shaxton, N. (2011). Treasure Islands, tax havens and the men who stole the world. Palgrave McMillan. Doring, H, Manning, P, Jan 2017. Is Proportional Representation More Favourable to the Left? Electoral Rules and Their Impact on Elections, Parliaments and the Formation of Cabinets. British Journal of Political Science, 47, 1 pp. 149-164. Lucas, C. (2015). Honourable Friends: Parliament and the Fight for Change. Granta Publications.